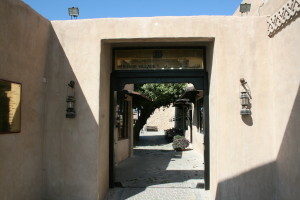 The Top 10 Things To Do In Bur Dubai - The Majlis Gallery - Haven for Artists AND Art Lovers. Immerse yourself in the history of Dubai by visiting one of its oldest buildings, a respected cultural heritage site that was constructed during the 19th century by the Persians. Hence the name, taken from the eponymous town in southern Iran. The picturesque monuments have since been declared a conservation site where tourists can now roam the pedestrianized alleys and admire several restored buildings featuring wind towers, an ingenious creation that functioned as a ventilation system. The sandy edifices are homes to a select few; however others have been exposed to the public. These include the Dubai Museum, an aromatic Arabian tea house, and galleries showcasing the most obscure yet breathtaking masterpieces from artists all over the world. 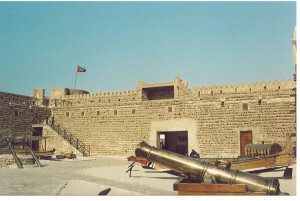 Encased within the recently restored Al Fahidi Fort, built in 1799 as a tactic of defense against invasion, the Dubai Museum endeavors to indoctrinate tourists into the culture and heritage of the city. At only 3 AED per head, this exhibition is a steal for those desiring to witness the drastic transformation of a once-sparse desert to a thriving metropolis. Housed underground, the detailed dioramas of certain events in history such as the pearl trade offer an escape from the sweltering heat. The models are a clever attempt to reenact those pivotal moments and entertain the public as well as educate them. Ideal for those in awe of the culture, customs and religion that dominate the United Arab Emirates, the Sheikh Mohammed Centre for Cultural Understanding strives to spread awareness of these concepts by offering an impressive range of lectures and exhibits, all focusing on the topics of Islam and the UAE while sampling a traditional Arabic breakfast (served on Mondays and Wednesdays at 10am) and listening to natives demystify certain cultural customs. They operate under the philosophy and motto “Open doors, open minds,” so why not curb your inquisition at an open Q&A discussion” Moreover, any female tourists can wear hijabs (traditional headscarf worn by Muslim women). This is your opportunity to become culturally enlightened in an innovative manner, a definite motive for visiting the Bastakia Quarter. For artists and art lovers seeking an outlet to appreciate the work of others, the Majlis Gallery is indeed paradise. Ever since its inauguration in 1989, the Majlis (meaning a common meeting place) has promoted the masterpieces of artists from a multitude of countries and has evolved into a premier establishment that is ideal for creative minds to unite. Also situated at the Al Fahidi neighbourhood, the gallery features many exhibitions including artist Udhaybhanu’s portfolio of photography. As a self-proclaimed environmental activist, the photographer uses nature as his muse to project his thoughtful interpretations of his surroundings. Be awe-inspired by the range of talents that are showcased here. Perhaps it could awaken a hidden talent ? 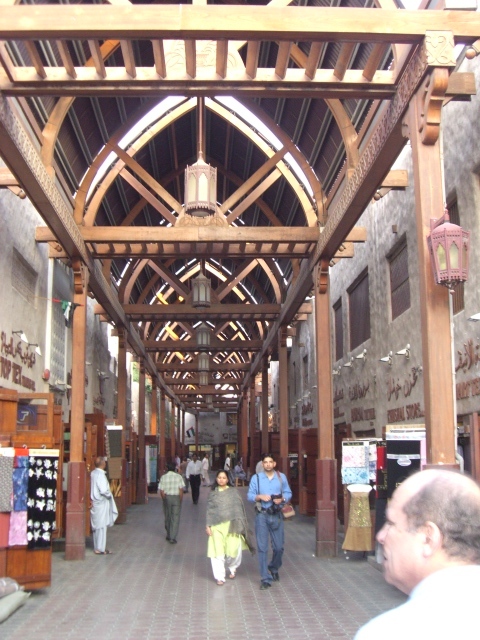 This is a traditional market in Bur Dubai, home to an array of stores selling fabrics and footwear along with souvenirs and clothes. The shops in Bur Dubai’s Textile Souk are thought to be a treasure trove of textiles, exuberant bursts of color, textures and handmade weaves from around the world. Peruse the souk (Arabic word for market) and purchase ornate ornaments to adorn your shelves along with fascinating pieces of haberdashery including shimmering threads and velvety materials. With a a lot to choose from, your options are limitless so why not practice the art of negotiation when frequenting this market? Any travelers with an unquenchable thirst for knowledge will flock to this informative site in search of the traditional ways of life and origins of this beautiful city. 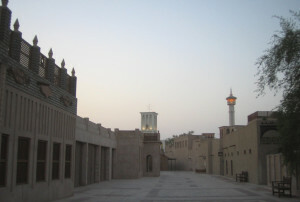 Built in 1997 at the Al Shindagha historic neighborhood, the village’s main aim was to display the traditional customs, traditions, professions and local craftsmanship of the country. 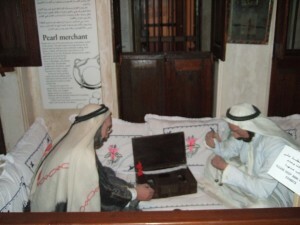 The Heritage Village is visited by many who have a great opportunity to live and familiarize themselves with the different styles of local life. Moreover, the visitors obtain an insight into how the different professions are practiced and carried out. The village is a host to a traditional medicine clinic during the tourist season between October and March allowing patients the chance to be treated by homeopathic doctors, retaining a legacy of experience and expertise. Don’t miss the chance to buy a handmade trinket from gifted craftsmen who dabble in whistle making, jewelry making and cotton trading. 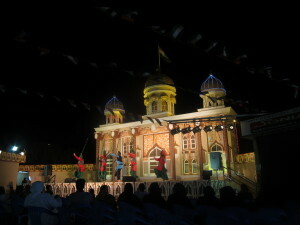 The visitors can also enjoy live performances of Arabian folklore such as Razfa, Ayyala, Harbeya and El-Dan, in addition to the dances that root back to Africa. Grab the opportunity to ride in a magnificent dhow (boat) and your evening will come alive with the jewels of Dubai. 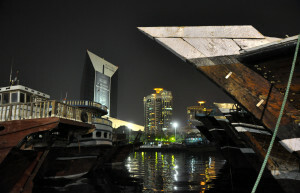 The Dhow Cruise can easily showcase the unique charm the city has. Ensure you capture all that you see with your camera. Featuring a fascinating view of the Dubai Creek, a ride on a decorated traditional style dhow is definitely an experience to cherish. The elegant moonlight sets the ideal ambiance for an intimate dinner for two or a much-needed family bonding session. This tour also provides guests with a delectable buffet dinner with traditional as well as international dishes to please your palates. A true haven for any shopaholics looking for unique pieces of jewelry and accessories, Meena Bazaar has it all, from its extensive selection of gold products taking the form of necklaces, ornaments and earrings to intricately designed bags that are truly one-of-a-kind. 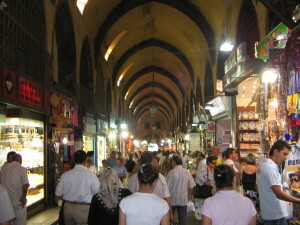 Visitors can commute easily via the metro and obtain original souvenirs at negotiable prices. The market is a safe and secure place, so shop with ease and approach all stalls as they all sell something different including clothes, trinkets and electronic items. Treat yourself to the scrumptious street foods on sale and allow Meena Bazaar to be the ideal end to a picture perfect vacation. The perfect venue for a family outing, Dolphin Bay is known to be the largest and most contemporary dolphin habitat in the world. Choose from a variety of dolphin interactions that are suitable for all ages. If you don’t want to swim, you can stand in shallow water. Those who are advanced swimmers can scuba dive alongside these intelligent creatures. Sign up for a royal swim package for the once-in-a-lifetime chance to be gracefully towed along the waters by the dolphins themselves or pick up an observer’s pass to admire the charismatic animals from afar. 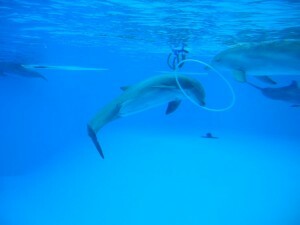 Children can enroll in classes to learn more about the anatomy of dolphins which can not only aid in their development but increase their empathy for all animals. Think it’s impossible to travel the world in under 24 hourrs” Think again! Global village offers a series of mini market stalls offering food from dozens of countries and cultures, along with the exciting opportunities to scour through all the stores and capture these remarkable memories on camera. Feel that exhilarating rush of adrenaline while taking your turn on the amusement rides and marvel at the majestic musical fountain, usually synchronized with the latest pop songs that are guaranteed to get you tapping your feet to the beat. An innovative way to familiarize oneself with the cuisine of other regions of the world and unites all as one.